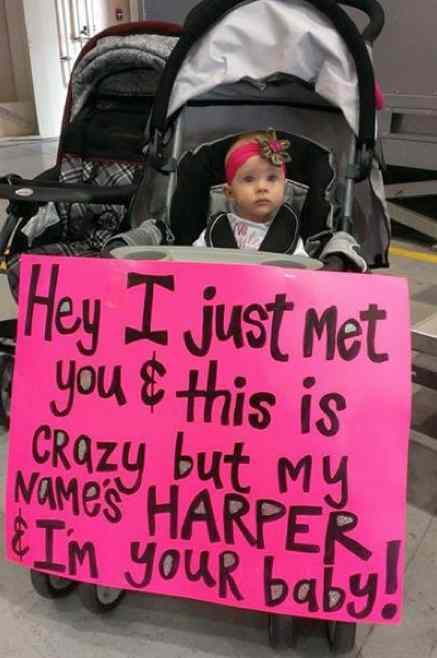 A Nebraska soldier who’d never seen his baby daughter was welcomed home this week by a sign so cute that the photo posted on Facebook got a million Likes in its first day. The adorable little girl wearing a bow in her hair sat waiting in a stroller sitting next to a big pink poster using the “Call Me Maybe” song to welcome her dad, Cole Tesar, home. “Hey I just met you & this is crazy, but my name’s Harper & I’m your baby! 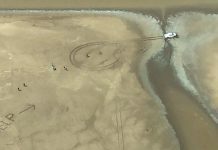 The family’s photo, posted on the Facebook page WOWT-TV News Facebook Page, drew thousands of comments of support for the family, now reunited and grateful for all the love.